For football fans, Mexico City proved to be a destination of vibrant colors and NFL pride. NFL On Location guests experienced an itinerary packed with both impressive culture and amazing access. Touring historic Mexico City, many were moved by the impact of the large cathedrals, impressive architecture, and powerful artwork along the way. With free time to explore the NFL Fan Fest in the city’s center, football was always top of mind. Our first evening wrapped with an intimate reception, featuring NFL great, Fred Biletnikoff. Sharing stories from his playing days, guests really connected with his love of the game and its fans. With a few surprise celebrity guests passing through, the night proved to be a star-studded occasion filled with many photo opportunities and autographs. Gameday in Mexico City was nothing short of a display of true NFL passion; fans flooding into Estadio Azteca sporting jerseys of every team. But, even before our guests arrived at the stadium, they enjoyed a pre-game parties filled with live entertainment, games and an extensive spread of Mexican cuisine. 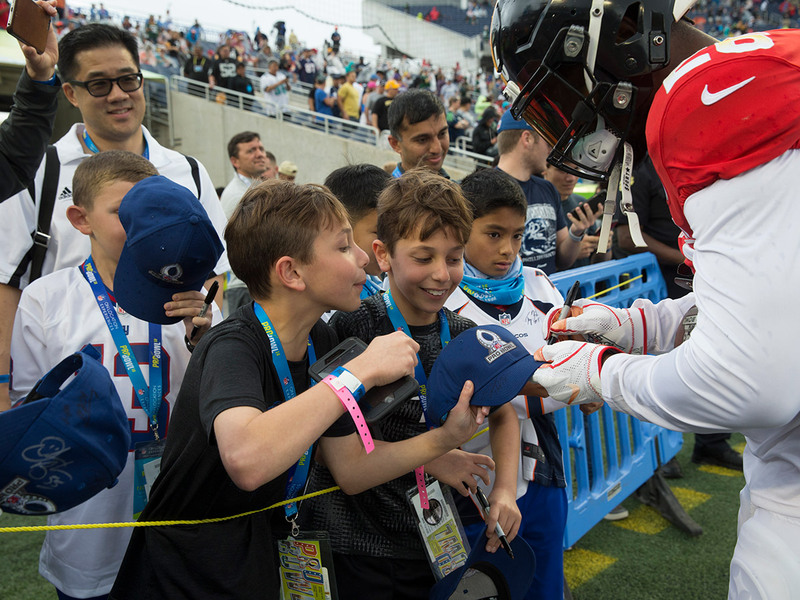 As kickoff neared, our weekend guests were treated to a sideline view of practice – some even participating by exchanging passes with members of the Oakland Raiders. Standing aside the team bench, there truly was no better pre-game view. Counting down to the start of the game, the stadium vibrated with the energy of fans from all nationalities making this NFL experience one that will not soon be forgotten.